"Roy was awesome! My wife and I are buying our first home, and the entire time I was pushing us to look at brand new homes, for no other reason than to have the peace of mind to know everything should last a few years with no problems. We ended up buying an older home, and Roy ripped through that home with me showing me every detail both good and bad! By the time we left I felt so much better; not just because I knew what was needing work on the house, but also how to fix it....thanks to him! I'd highly recommend him to my family and friends, and to anyone looking for that peace of mind that comes with an extremely detailed inspection!" "What can I say? WOW !! At first I thought why do I need a home inspection as I have looked the place over? Little did I know Roy checks every, and I mean every, nook and cranny and even finds loose screws, I say again, who finds this kind of stuff. Well Roy does, along with ALL major to minor concerns. At 65 years young I sure learned a lesson and got an education. The inspection fee was worth every penny and more. Roy is the man.... plus is connected to answer any and all questions even if you have home related ones not part of the inspection. I would recommend his service to anyone. Thanks Roy, you really helped me out." "I had Roy look over a house for me and he did a very spectacular job. He was incredibly professional with a little twist of personality that makes him incredibly likeable and trustworthy as well. The inspection itself went really well – he walked me through everything from top to bottom …to make sure that I understood everything. He answered every question that I had – some of them were ridiculous and some of them were a little more technical and he answered all of them at a very approachable level for someone with my knowledge base. So, I would highly recommend using Vigilant at any point for any home inspection!" 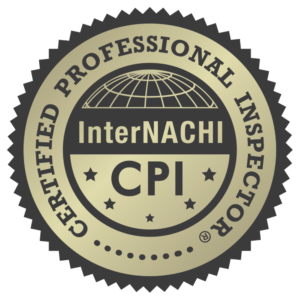 "This is our third home and by far the most detailed inspection report I have ever seen. He checked and took many pictures of things that most inspectors wouldn't probably think of. I would highly recommend Roy's services!" "Very fortunate our awesome realtor recommended Roy for our home inspection. He was punctual, thorough and explained everything in a way that made sense for an overwhelmed home buyer. He also offers a discount to Veterans, which was such a blessing to us as we had many expenses to pay towards the purchase of our new home and that little break really helped. Thanks Roy for your wonderful work!" Read more reviews or post on Google!